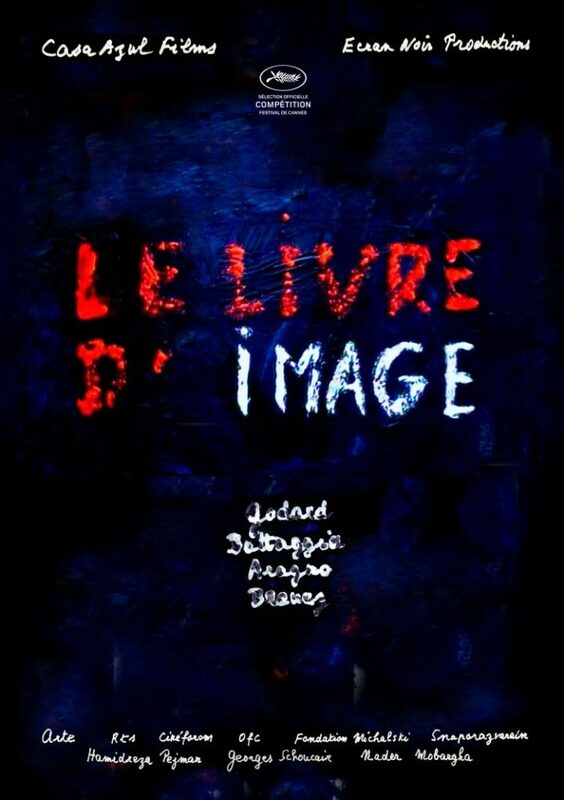 In Image Book (Le Livre d’Images), Jean-Luc Godard continues the exploration he started in his precedent films, and in particular in Goodbye to Language (Adieu au Langage). He adopts a similar approach, deconstructing the cinematographic language we are used to, by proposing a new language with images and sounds, that doesn’t respect the usual conventions. For instance, he discontinues images and sounds at a point that is unexpected. When you expect the moving image or the sound to continue, he stops them. Or he repeats a particularly significant bit of image or sound twice or more. The cuts in the images and sounds are usually not synchronized. One usually stops while the other continues, and it is almost never in the same way each time. Or he creates silence in the sound while the image continues, or silence in the image (black screen) while the sound continues. He also transforms images (playing with colors and saturation and ratio) and sounds (playing with transformations and spatialisation). He also plays with imperfections, at the image and sound level (using as a language things that are usually hidden). By doing all that, he reintroduces significance in a media that sometimes lost it. When not knowing what to expect, the audience is forced to pay particular attention to what’s going on. This is a poetic statement since it creates a new language, one that is peculiar to its author. This also creates a new rhythm, its own rhythm, with a density which at times saturate the mental ability to make sense and put the audience in a state of trance. All that is not done for nothing, it is put in service of a statement, a statement which is the juxtaposition of images, sounds, music, and texts that are meaningful to Godard, and through which he is trying to tell us something, and maybe even to awaken consciences. Some of his favorite themes are present, like revolution, what it is, and if it is possible or even desirable. Or meaning: how do you achieve it and for what purpose. Or power, with its derivatives, dictatorship and oppression. And Godard also proposes a reflection on the Arabic world, visiting history, ancient and recent, as well as pictural representations associated to it. He also questions us about what it means to represent something, and the violence of this act of representing which necessarily makes choices and obliterate part of what is represented. Like for Goodbye to Language (Adieu au Langage), this virtuosity of form and content and meaning and symbols merging together at times, or creating chaos at other times, leaves us confused, full of wonder, certain not to have understood or grasped everything, but, and this is the best strength of last Godard films, stays with us for days to come, and feeds the thread of our reflection, almost in spite of us. It is an experience that is really worth living and is necessarily transforming.